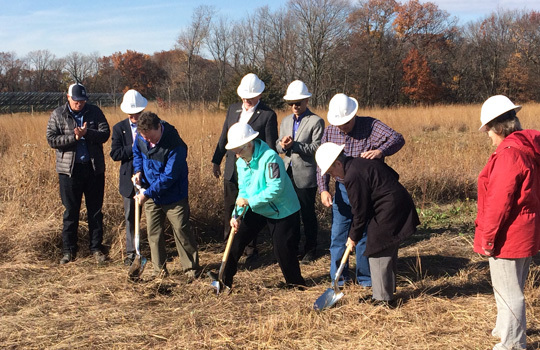 Joined by the School Sisters of Notre Dame, Blue Earth County Commissioners and the local Mankato media, IPS Solar broke ground on the site that will hold a 1.3 MW community solar garden. 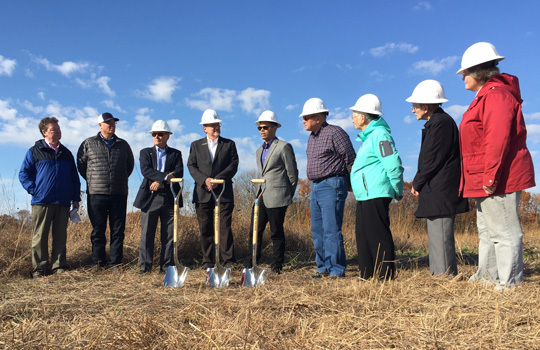 The project will produce enough energy to power roughly 165 average Minnesotan homes. In addition to the School Sisters of Notre Dame, subscribers include Blue Earth County, the City of New Richland, New Richland Care Center, the Hilton in Mankato and others in and around the Mankato area. The project is being co-developed by IPS Solar and New Energy Equity. This is one of many community solar gardens being brought online by the IPS Solar project team over the next 12 months. Other IPS Solar community gardens in and around Blue Earth county are still taking subscriber applications. This entry was posted in Community Solar, Events, IPS Projects on October 25, 2017 by Kyle Wehnes.